I don´t know what exactly made me want to read Girl in Pieces. 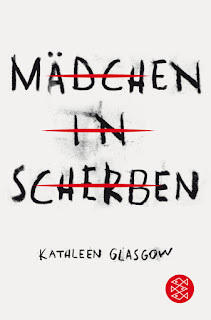 No matter how I put it, the cover – not the original one or the one from the German edition – is really speaking to me or nice to look at. In fact, when I got the offer from the publisher, I was irritated. A feeling that didn´t change, even after I started reading this book. It turned out to be a novel that I wouldn´t consider a YA book or a book for children 14+. This novel is brutal, blunt, depressing, dark and took me the longest time to read it. At times while reading I struggled with its content, the way how the main figure was portrayed, and I was kind of begging for it to end. But strange to say, it never became boring. Charlie feels safe. Sure, life at the clinic is not all sugar and perfect, but warm, dry and filled with others who are the same. Life seems to give her a second chance and she wants to do everything, to take it and make something good out of it. But then comes the day where she has to leave the clinic. The day where she has to learn that she is on her own again and that life is costly. And old habits aren´t easy to kill. The author paints a picture that seems at first to be completely confused and you can´t really see a structure in the plot. Kathleen Glasgow jumps from one side to the other while introducing some figures to the reader and it takes you a while to get used to that style. And it takes you also a while to see, that this novel is about a serious problem, called NSSI (Non-Suicidal Self-Injury). Charlie, the main figure wasn´t born on the sunny side of life. And she´s struggled all her life to stay alive one way or the other. The author shows how she´s coping with the world outside the clinic in a sensitive but direct way. Life isn´t all butterflies and flowers, and this novel is for sure not the happy-ending-romance you might expect when a seventeen-year-old falls in love with the bad boy. This one is heartbreaking, drama without end, cruel, twisted in a totally creepy way and sick. Charlie is the female version of fifty shades of fucked up. She never learned how to connect with others. She never had a normal family life or parents who cared about her, loved her and protected her. The clinic is her safe place, her chance to keep her demons at bay and to become able to live a normal life as possible. But the real fight starts the moment she leaves the clinic. From that moment on, she is on her own and things start to get worse. It is impressive to watch Charlie fight for the things she wants and how she sees herself. That she knows somehow what she´s missing and that she does things her way even when others urge her to show a bit more of her personality, her real self. This novel is brilliant horror packed in well-created sentences. Brought to the reader in a sensitive way with powerful words. This isn´t a book you can read overnight or while having some time off. This book draws you all in, gives you goosebumps, brings you to tears but most of all shows you a very dark world. I was not really intrigued by it until the last part. There it hit me and everything that had happened before in this novel all the sudden made sense. This novel contains some graphic scenes with alcohol and drug abuse. If you have issues with that or any other psychological problems, you better think twice if you want to read this. *This book was kindly provided to me by Fischer TB in exchange for an honest and unbiased review. Therefore, the cover of the German edition is shown first in this review. 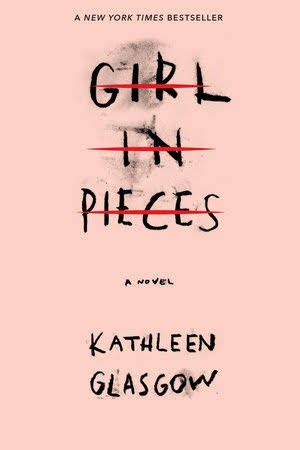 Kathleen Glasgow´s first book was the New York Times bestselling novel Girl in Pieces. She lives and writes in Tucson, Arizona. 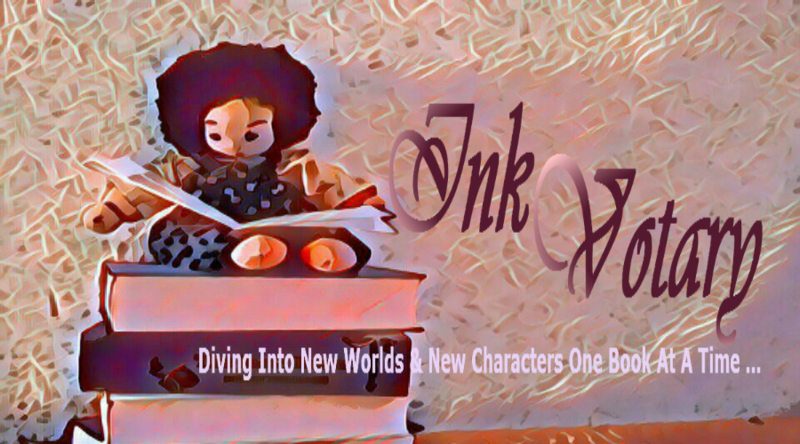 Weekly Book Wrap-Up #66 – It´s Raining Books! Weekly Book Wrap-Up #65 – Warm, warmer - HOT!